Our park has its own marina, and as a guest, you will have your own free boat slip for your boat. You could, of course, also rent a boat! 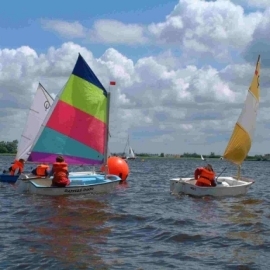 Other than renting a boat, there are lots of other watersports that you can practice on the Heegermeer. For example, you can rent a canoe or try paddle-boarding and enjoy being active on the water. Would you rather have day of rest on a beach? you can visit the cosy, little beach located right next to our park. 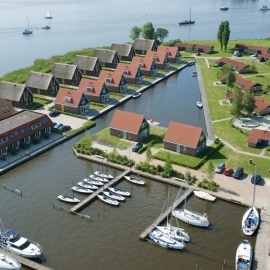 Whether you’re on a holiday at our park, or you just would like to go for a nice boat ride on some Frisian lakes, renting a boat from our extensive boat fleet is always possible. The Pharshoeke is also a great place for families with children. Having the Heegermeer in your backyard, there will always be something to see, to do, or to experience. At our park, we have a beautiful playground where children will enjoy climbing and clambering. Also, the area around Heeg will give you lots of opportunities for nice little trips, that you won’t have enough days!